Can-Am Maverick X3 side-by-side vehicle racers had a fabulous weekend in the Nevada desert, winning four titles at the 2018 UTV World Championship in Laughlin. Utilizing the industry’s most powerful performance side-by-side vehicle, the teams capturing six of the top 10 finishing spots in the UTV Pro Turbo ranks and sweeping the UTV Unlimited class podium. 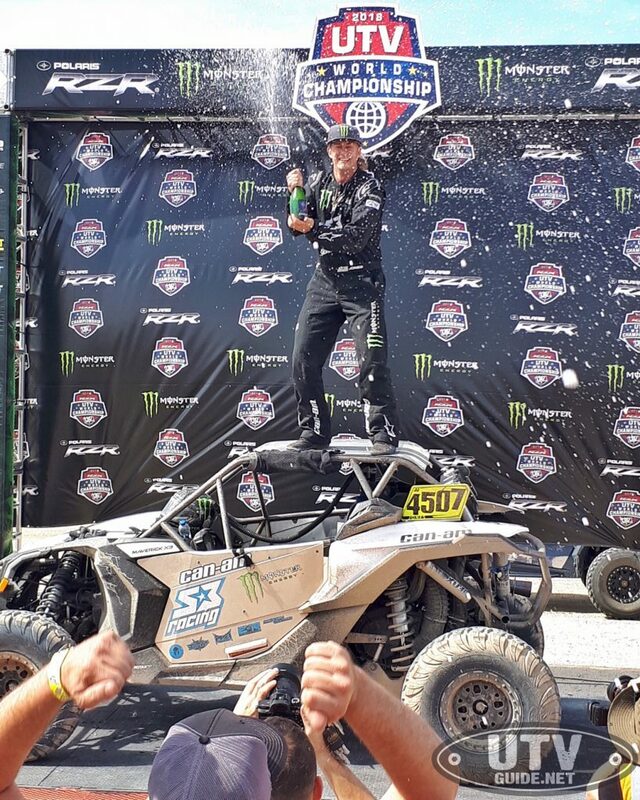 Headliner and reigning BITD UTV Pro Turbo class champion Phil Blurton put in a stellar performance at the UTV World Championship main event, winning his class in his No Limit RD / XRS / Can-Am Maverick X3 side-by-side vehicle. The victory also gave Blurton impressive back-to-back UTV World Championship victories, solidifying the Can-Am Maverick X3 vehicle’s status as the go-to vehicle for desert racing. 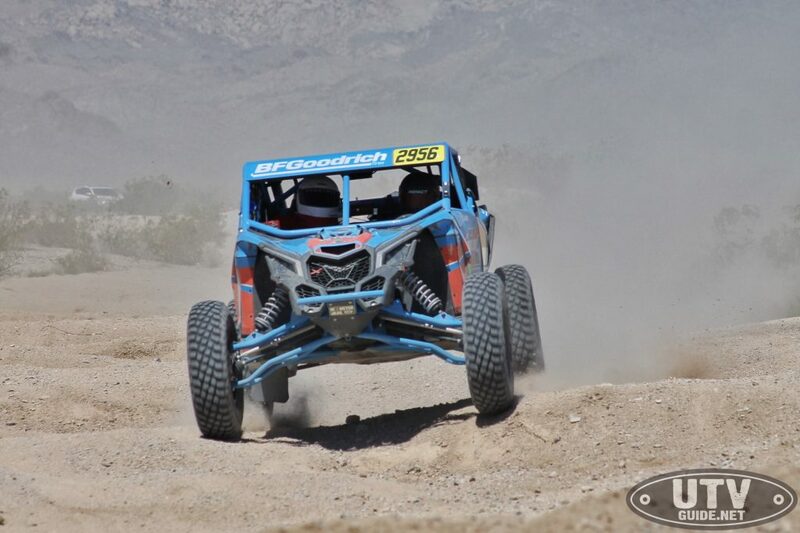 S3 Racing / Can-Am driver Dustin “Battle Axe” Jones, who finished third in the UTV Pro Turbo class rankings also took home a victory in Nevada. Jones finished the FOX Short Course race in under an hour, winning by more than two minutes of the runner-up finisher. 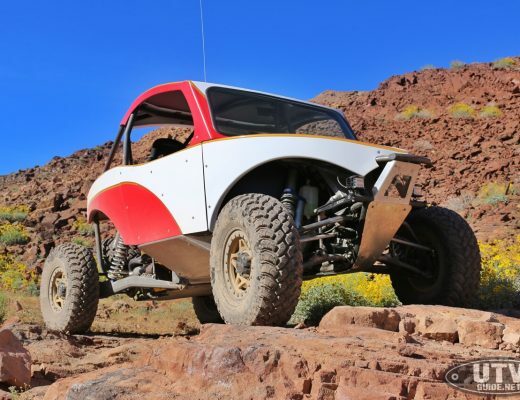 He then quickly got in another S3 Racing / Can-Am desert vehicle to compete for the UTV Pro Turbo class win. Fellow S3 / Can-Am racer Logan Brezina took third place in the Short Course competition. “This was one of the roughest races we have had in a long time. The short course was especially demanding, because I was driving at nearly full capacity to outrun the fastest guys in the country,” stated Jones. “I fully believe that running a superior machine in the X3 was a huge advantage for this type of race and no doubt attributed to being able to put over two minutes on my closest competitor. This was truly a great weekend to be racing a Can-Am! 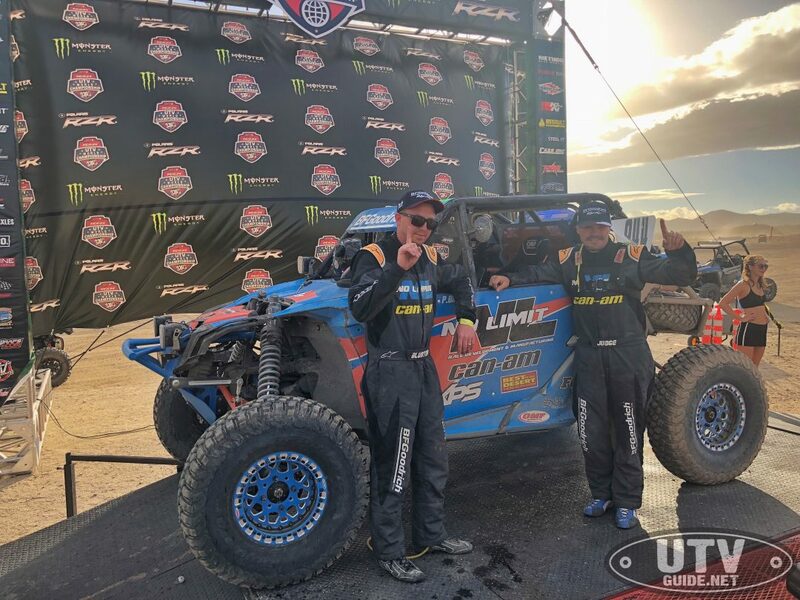 Not to be outdone by his fellow Maverick X3 side-by-side vehicle racers, Australian Brett Comiskey drove his Lonestar Racing-backed Can-Am to an easy victory in the UTV Unlimited class, winning by more than 30 minutes. Fellow Can-Am Maverick X3 side-by-side vehicle pilots Michael Isom and Randy Raschein also completed all nine laps and joined Comiskey on the class podium for the sweep. 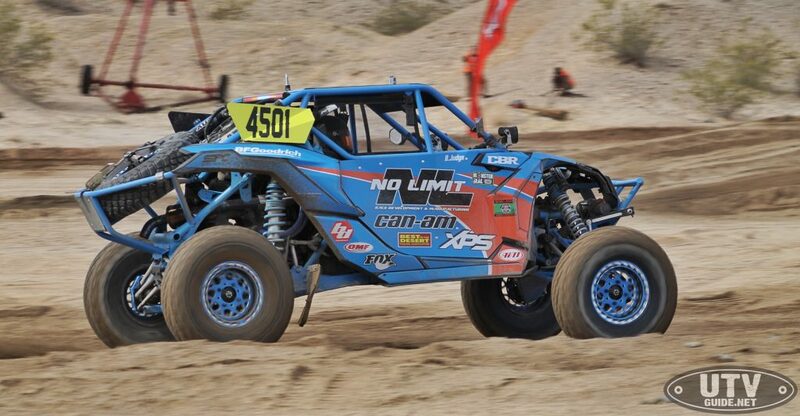 The Can-Am team earned two additional podiums with the 172hp Maverick X3 platform, as Garrick Lastra and Casey Currie finished in second and third, respectively, in the Stock Rally Class (Desert Race). Cole Freiday started things off smoothly Thursday evening for Can-Am, as the Arizona driver outdistanced the competition at the Method Wheels Laughlin Leap jump contest, which officially kicked off UTV World Championship weekend. 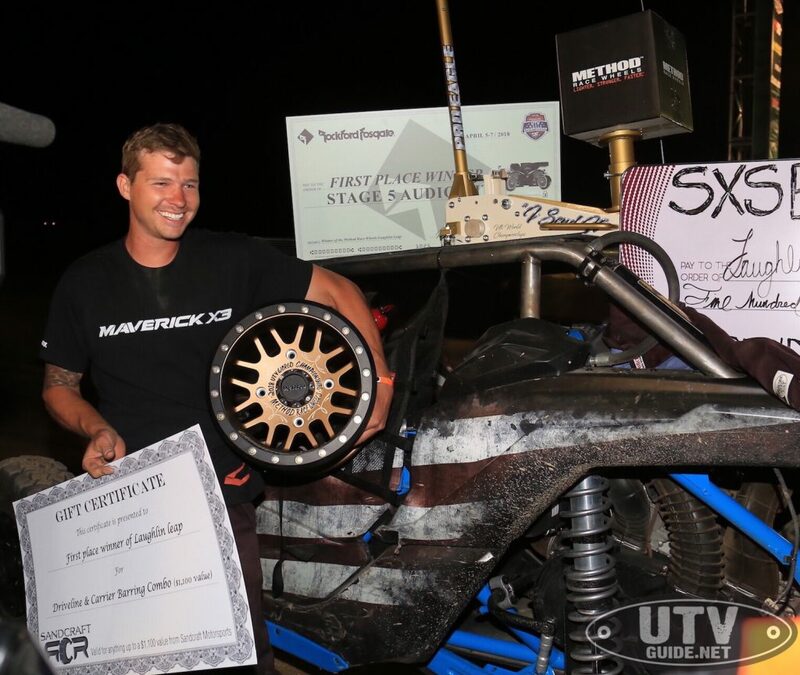 In his first UTV event behind the wheel of his personal Maverick X3 X rc, which features a class leading suspension from the factory, bought in November of last year, he dazzled under the lights, leaping 117.9 feet to grab the win and roughly $10,000 in cash and prizes. For more information about Can-Am off-road products, the family of championship-winning Can-Am Maverick X3 side-by- side vehicles and the Can-Am racing program, visit CanAmOffRoad.com. We are a global leader in the world of powersports vehicles and propulsion systems built on over 75 years of ingenuity and intensive consumer focus. Our portfolio of industry-leading and distinctive products includes Ski-Doo and Lynx snowmobiles, Sea-Doo watercraft, Can-Am on- and off-road vehicles, Evinrude and Rotax marine propulsion systems as well as Rotax engines for karts, motorcycles and recreational aircraft. We support our lines of product with a dedicated parts, accessories and clothing business to fully enhance your riding experience. With annual sales of CA$4.5 billion from over 100 countries, our global workforce is made up of over 10,000 driven, resourceful people. Ski-Doo, Lynx, Sea-Doo, Evinrude, Rotax, Can-Am, Maverick, X3, Renegade, Spyder, and the BRP logo are trademarks of Bombardier Recreational Products Inc. or its affiliates. All other trademarks are the property of their respective owners.